Aberfeldy is a long established town on the River Tay, eight miles west of the main route from Perth to Inverness. A branch from the main line featured in early proposals for railways in the area and it was opened in 1865, only two years after the through route. It served the town for nigh on a century, closing with many other rural lines in the 1960s. Containing 64 pages and 46 illustrations plus 8 maps, the book is priced at £8.90 (£10.50 by post). Members can obtain copies for £7 or £8 by post. ISBN 978 095454856 8. The Black Isle Railway, from Muir of Ord on the main line north from Inverness to Fortrose on the southern shore of the Black Isle, served a rural community made prosperous by its good quality land. The line was opened by the Highland Railway in 1894 and served the area for more than half a century. Containing 112 pages and 95 illustrations plus 10 maps, the book is priced at £8.50 (£10.00 by post). Members can obtain copies for £6 or £7.50 by post. ISBN 978 095454859 9. The railway through Blair Atholl was opened 150 years ago when the main line from Perth to Inverness was completed. Over the years, the station and its locomotive shed played a significant part in the life of the village. No mere wayside station, its men and machines assisted long and heavy trains over Drumochter Pass, the highest main line on the Britain’s railways. Containing 112 pages and 93 illustrations plus 8 maps, the book is priced at £9.50 or £11.20 by post. Members can obtain copies for £7 or £8.20 by post. ISBN 978 095454858 2. Published to mark the 150th anniversary of the opeing of the line from Inverness to Dingwall, this book describes the building of the section of the Far North line to Bonar Bridge, now Ardgay. It includes a detailed description of all the stations and engineering work on the line and shows how the train services have evolved. Containing 64 pages and 74 illustrations plus maps, the book is priced at £7.90 or £9 by post. Members can obtain copies for £6 or £7 by post. ISBN 978 095454857 5. 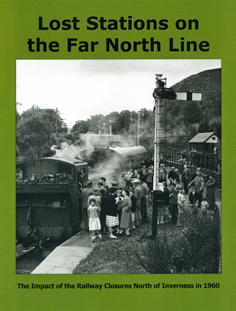 Published to mark the 50th anniversary of the closure of a number of stations on the Far North line together with the Dornoch and Fortrose branches, this book draws on the memories of some of those who knew the line in the 1950s. It shows how the line was used in the 1950s and describes the impact of the closure. The book is well illustrated with views from the 1950s and may be purchased for £9.95 or from the Society by post at £12.00. The book is available to members for £6.00 or by post at £8.00. ISBN 978 095454854 4. 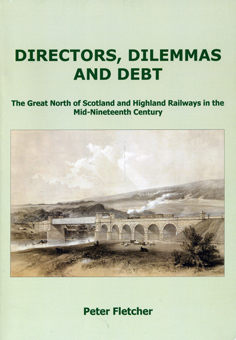 Directors, Dilemmas and Debt, published jointly by the Highland Railway Society and the Great North of Scotland Railway Association. 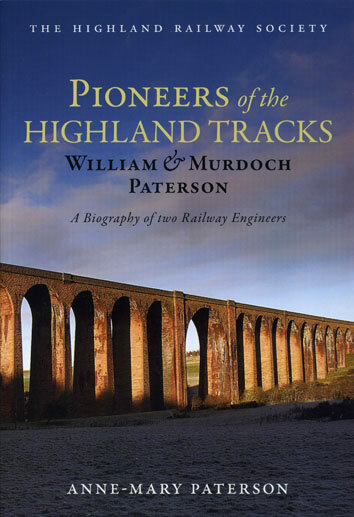 Popular histories of Scottish railways have tended to tell the story of one particular company or another. 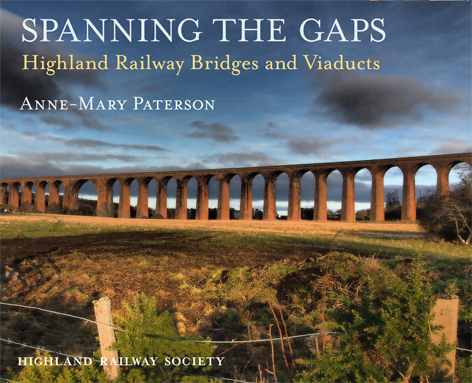 This book presents a different approach by exploring the inter-related development of the Great North of Scotland and the Highland Railways and their constituent companies in the three decades from the great railway mania of 1845 to the time when the railway finally reached the far north of Scotland. It may be bought for £12.50 or from the Society by post at £14.50. The book is available to members for £8.50 or by post for £10.00. ISBN 978 090234323 8. Highland Railway Tours for 1880. A fascinating glimpse of the journeys operated for the benefit of tourists, price £2.50 (members) or £3 (non-members). 1880 Summer Working Timetable. 52 pages, price £2.50 (members) or £3 (non-members). No.29a, Supplement from 1st June 1933. £4 (members), £5 (non-members). No.30, from July 3rd, 1933. £4 (members), £5 (non-members). The Dornoch Light Railway - the story of a Highland Branch Line. A DVD produced in 2007, approximate running time 90 minutes. This includes 33 minutes on the history of the line, 18 minutes of recollections of those who worked and travelled on the line and 23 minutes showing the route of the line today shot from a microlight. Added to this is a short film of Sutherland in bygone days and shots of Dunrobin, the Duke of Sutherland's engine now back in the UK at Beamish Museuem, Co Durham. Price, including UK post and packaging, £19.95 (members £16.95). Some of these publications can be found in or ordered from good bookshops. However, all can be bought at exhibitions where the Society has a stand (usually Model Rail Scotland in February and the Perth Show in June) or at our AGM in September. To order any of these items by post, please send a cheque made payable to the Highland Railway Society to John Roake, Ringmarsh Cottage, Horsington, Templecombe, BA8 0EL.